According to their method of propulsion, which is the most common classification system, aircraft can be classified as being unpowered (such as gliders, balloons, and kites) or powered (such as helicopters, propeller aircraft and jets). According to the lifting force that allows them to fly, aircraft can be classified as aerostats or aerodynes. Aerostasts (such as balloons and dirigibles) are lighter than air and, therefore, "float"1. Aerodynes (such as airplanes and helicopters), on the contrary, are heavier than air and need both wings and a method to exert some sort of force to move air over those wings in order for them to gain lift2. According to their operational use, aircraft can be classified as military, civil, experimental and model aircraft. According to whether the aircraft requires a pilot or can be controlled remotely, aircraft can be classified as manned or unmanned. The typical aircraft is manned in-situ, i.e. it is flown by one pilot or a crew. However, unmanned aircraft -those without pilots- are becoming more common, especially for military and research purposes. 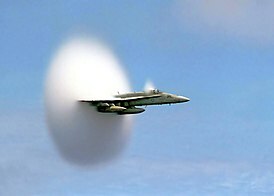 According to their average flight speed, aircraft can be classified as supersonic or subsonic aircraft, depending whether they can travel at speeds higher than the speed of sound or not, respectively. 1. WIKIPEDIA (2009). Aircraft. Retrieved from Wikipedia on 11 March 2009. 1. Aerostasts may be unpowered, as they do not need thrust power in order to generate lift! 2. Many aerodynes are powered as they do need thrust power in order to generate lift! This Wikipedia article offers more detailed information about each aircraft classification.